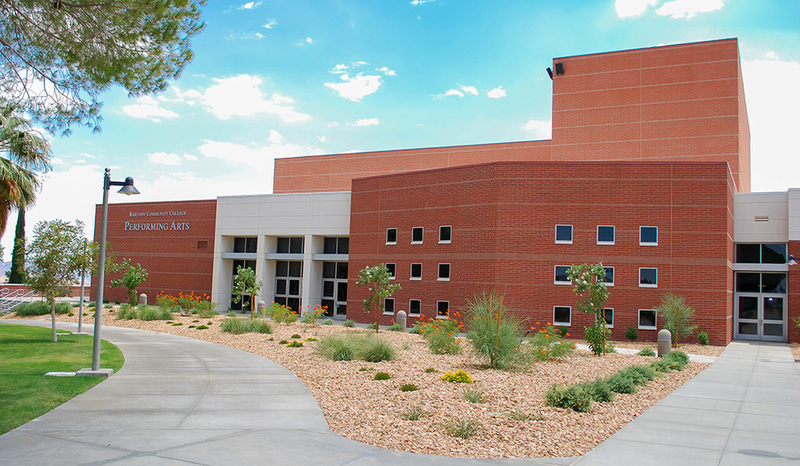 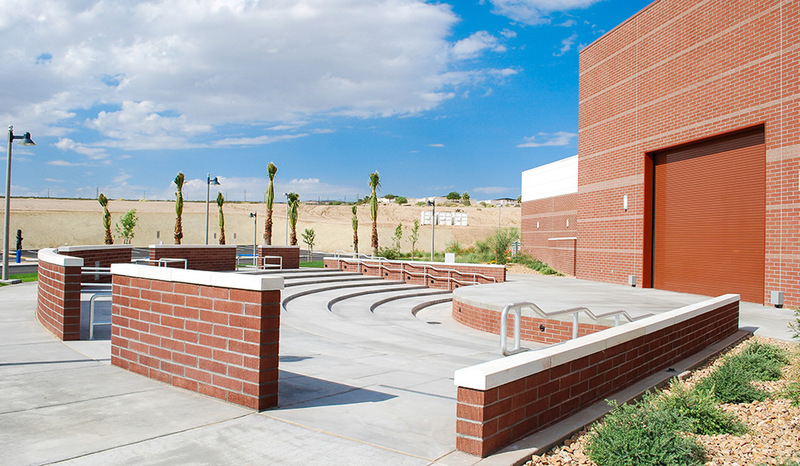 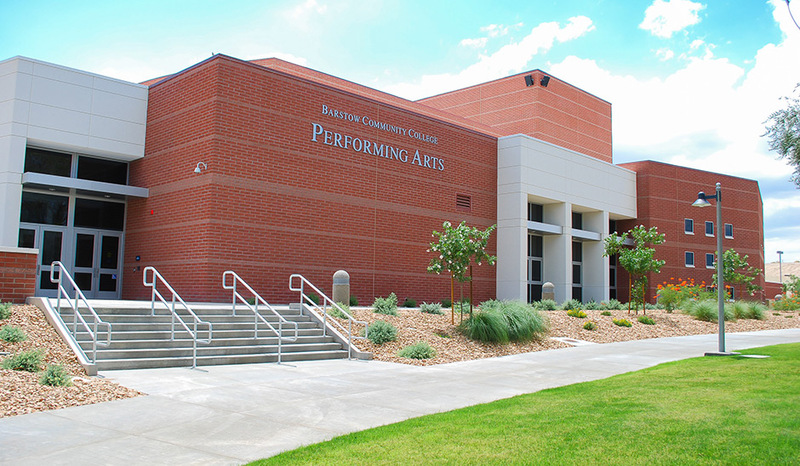 The Barstow College Performing Arts Facility is a two story building with a main theatre and seating for 755 along with a black box theatre seating 153. 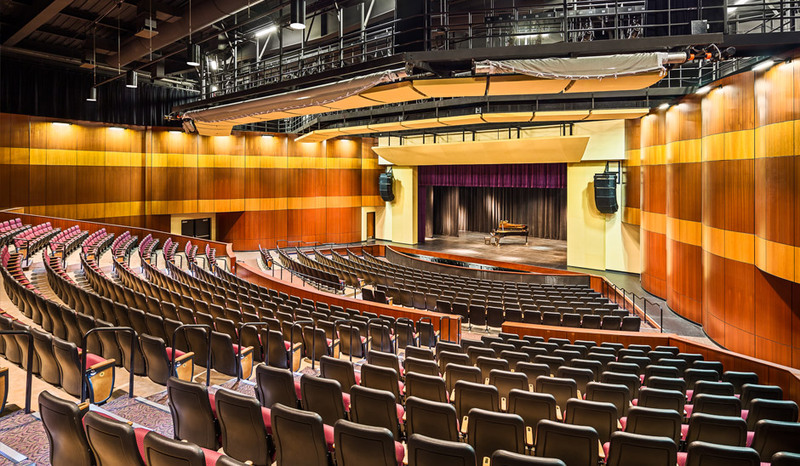 The facility also includes a main stage, scene service areas, music rooms, dance studio and additional assembly support service areas. 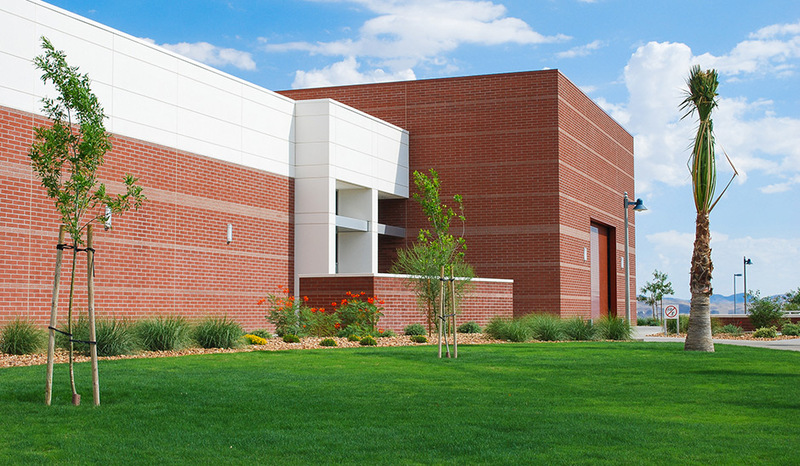 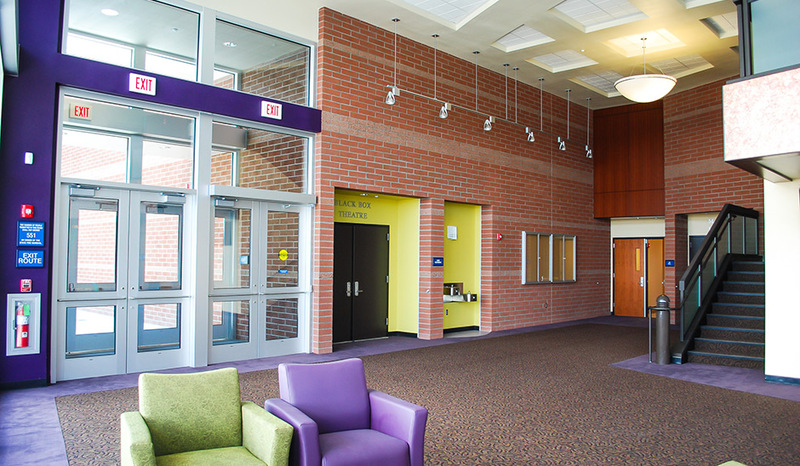 The facility incorporates many energy efficient features including an energy management system. 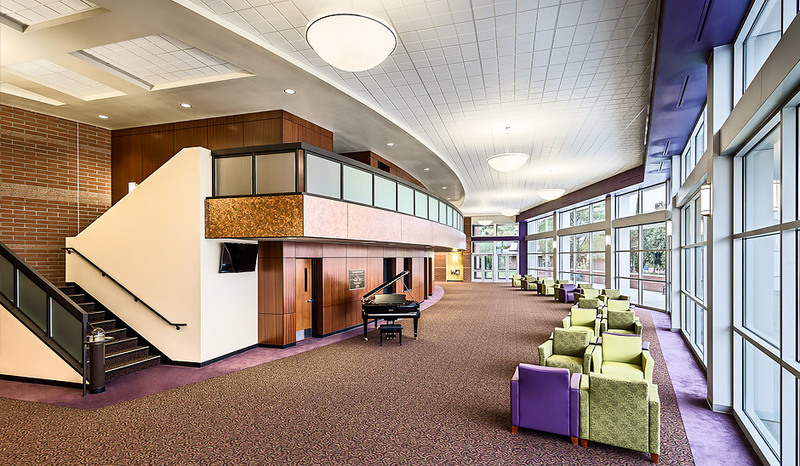 Large areas of window fenestration provide for an extensive use of natural light to reduce lighting demands within the facilities main Lobby area. 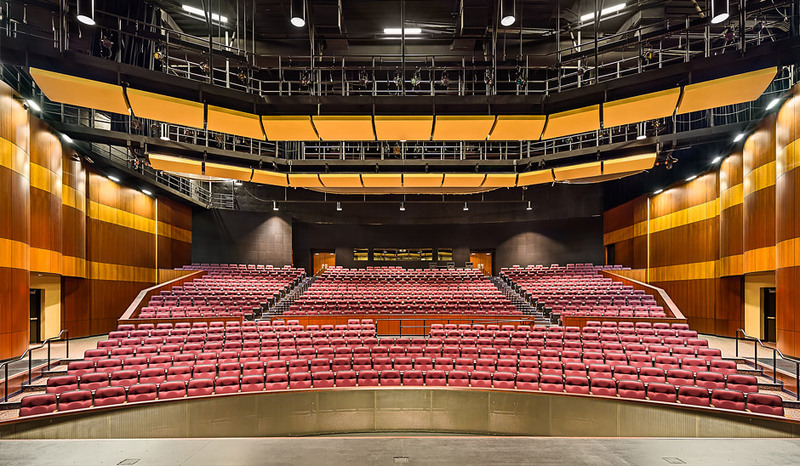 The building also will be constructed using many products having a LEED certification and is part of Southern California Edison’s Savings by Design program.